1. You don’t need fancy equipment. You just need to know the capabilities of the equipment you have on hand. My human had two cameras, and both of them were hand-me-downs from her dad. They weren’t fancy-name cameras, but they did the job. They did the job because my human knew what to do with them. Nowadays, she uses a high-end point-and-shoot camera — not even a DSLR. But honestly, to take awesome photos of me for the blog and for my Instagram account, she doesn’t even need the point-and-shoot. She often uses her iPhone. The thing is, she knows all the things the iPhone can do (for example, you can hold your finger on the phone to set focus, and a slider will appear to change the exposure). Phone cameras these days have a lot of different functions, and you should learn them because they will make your photos — and the process of taking photos — more interesting. 2. Ambient light is way better than using flash. Usually. What’s the exception for the no-flash rule? My human used it in rock photography sometimes, and she also sometimes uses it with us: use the flash to fill in shadows when the contrast is too strong. In that case, you use both the ambient light and the flash. Take the flash off auto and just turn it on so it always goes off. Play around with it for a few photos when you have bright, contrasty light. Sometimes when the light is low, and your cat or dog is too busy, you’ll also have to use flash. Experiment — unlike the old days of the 1980s, you don’t have to buy film in rolls and risk wasting your money! My human created what she called “concert portraiture.” She framed the musicians tightly in her viewfinder, often waist up or closer, and focused on their facial expressions when she took the photo. 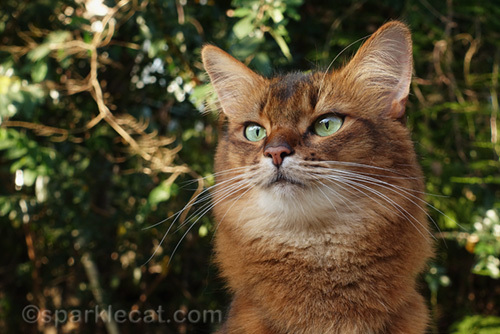 Unless you are photographing a scardey cat, get as close as you can to your pet. Fill the camera frame with them. Unless something in the background is meaningful, or you are setting a location, you shouldn’t take a photo from far away. If for some reason you have to take a photo from a distance, then crop it before posting it. 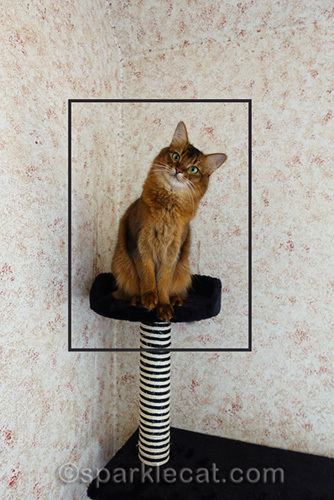 There are all sorts of composition rules, like the Golden Spiral and the Rule of Thirds, that artists and photographers know. The important thing to remember is that empty space should have meaning and that the eyes should usually be the focus of the photo (unless you’re taking a photo of another body part, of course). If you spend some time looking at great photos other people have taken, you can see composition in action. The most beautiful scenery or prettiest face can be made dull by bad composition, and pop with good composition. Another tip: make sure the surrounding area is uncluttered. If your pet has favorite places to hang out, make sure those areas are clear of stuff. Even when you are tight on your subject, a pile of dirty laundry, an open bag of dog food, or just general messiness is distracting in the finished photo. No, my human was not a groupie! But most of the time she loved the music by the bands she was photographing. She would let the music move her as she took the photos. Being in the flow of the songs really helped her take some nice shots. This one should be easy for people photographing their pets because you already love your subject! So go with their rhythm and flow. Lock in with your pet’s groove, whether it’s wild and crazy, or calm and serene. You’re capturing a mood, along with taking a pretty photo. 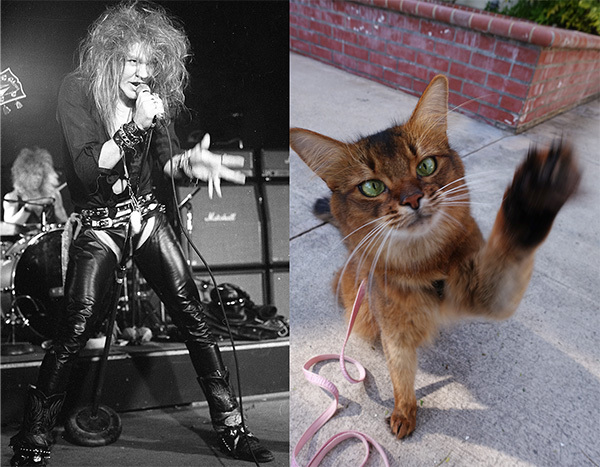 So, when isn’t photographing pets like photographing rock stars? Here’s how! 1. You can use the outtakes! 2. Treats and toys help pets pose — not so much with rock stars. When we are doing a photo session, my human can get my attention with a toy or one of my favorite treats. She always has a few of both on hand before she starts taking photos. You can’t do that with rock stars — wave a bottle of whiskey at them, and that will distract them instead of making them pose better. 3. You can train your pet to stay — you can’t train a rock star. My human learned when she was doing studio work that some rock stars were fidgety and restless and getting them to stay still for a session was difficult. This may be true of your pet too — but chances are you can train your pet to stay. I learned how to stay for treats. She taught me how to sit by holding the treat over my head until I backed up and sat down. Then she would make me stay for a beat before giving me the treat. That beat became a few beats, and then long enough to get a photo of me posing nicely (sometimes with a product). 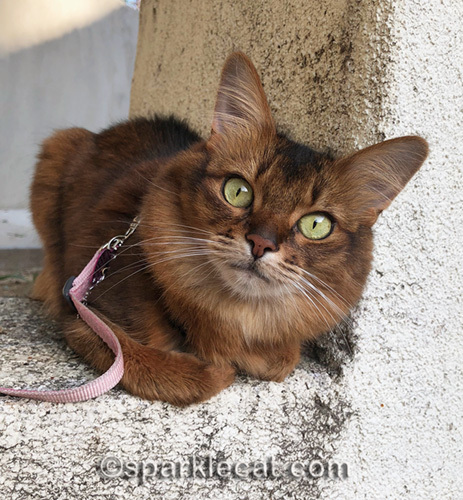 People are always impressed with my ability to follow orders, but honestly, with a little patience (and maybe some treats, or toys), most cats can be trained to do a few simple commands. If your cat understands she is going to get paid for good behavior, she will cooperate. I hope these suggestions are helpful! 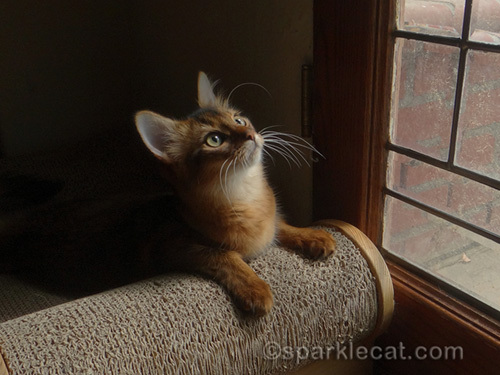 You don’t need to be a techie or have special equipment to take good pet photos. You just need a good eye, a warm connection with your pet, and the willingness to practice and experiment. And we are more fun to photograph than rock stars because we don’t demand photo approval! I am so glad you say that using a phone is a top tip. I keep telling people that and they think a fancy DSLR has to be better * shakes head * Know your equipment is something I tell movie makers too. It’s a BIG help! You can really use it properly then!!! I say it all depended on the ‘treats’ you were using for rock n rollers. I love all your photos and especially when you capture the tortie imp in Bingas eyes. The clutter! Thatâ€™s the biggest thing that I struggle with. Especially when photographing my two black cats. Sometimes camera to get A good image, I need to include background so the light is balanced. Great post ! Summer, is there anything you can’t do? Summer, you are a rock star to me. I was never much for celebrities as other people see them – my first “in the presence of a rock star” moment was the first time I met you. You and your Mom make it seem so easy! Summer, you and your human have just told petcretary all the things mostly that she knows from the tips her dad taught her! He would take wedding pictures to supplement his income when he was new ly immigrated to Canada. Howevfur, petcretary still takes about 300 bad to one good image…and mostly its the focus that gets her pictures to the trash can. Like you said, at least its not film…and you know right away if its good or not. So she uses the crop method, shooting from a bit of a distance helps us not worry about that camera thing, even though there is no flash used. Pawppy has a DSLR, but that thing makes petcretary’s head spin, MOL!! These are pawtastic tips! Our mom needs to learn the settings on her point and shoot, she struggles with taking photos. The tip about tilling the frame with your cat was really helpful! A lot of times our photos have a lot os useless space. And about the clutter, well, I’m not allowed to talk about our clutter. Those are great tips. Your human takes lovely photos. I feel you lose so much by using the flash that I very rarely use it whatever or whoever I am taking photos of. Excellent photography tips. And it also helps to have a cooperative subject, like you. Fabulous tips, Summer! We never thought of what it’d be like to photograph a rock star so we enjoyed this comparison! Awesome tips, Summer! We especially agree about learning from the photographs of others whose work you admire. There’s so much to learn if you really, really observe! These are great tips! I’m fortunate that our house has a lot of windows and lets a lot of light in. I think that’s probably one of the main things that has helped some of my photos. I have a DSLR but mostly use my iPhone. It’s always with me and faster to just pull out and snap some passing shots. Mom says your tips are good, but she’s also shaking her head saying after each tip, nope won’t work with Buster and Emma. My mommy was following all the bands back in the 80â€™s & early 90â€™s and most likely have posters out of LA Rock magazines of ones your mommy photographed. She went to every concert she could and even flew from Portland, OR to Los Angeles to see some concerts. Her favorite magazines are from the LA Rock scene so Iâ€™m sure she has some old magazines with your momâ€™s photos in them! That was the good old days (she says) when Portland had a great club scene with live bands. And her brother used to play live around the city also. There was alwYs a good reason to go out each night. No matter how tired you got from going out 3-5 times a week! She loves your tips and may see if Apple has any classes in photography, or even the community college. You have the best pictures ever! Pawsome post! I struggle so with photography. That is some excellent advice, Summer! Our #1 also uses a high-end point and shoot. By the way, we LOVE the photo of you and Binga! GReat tips. It is always good to learn stuff about taking pictures. That sure was a good post. Those are good tips, Summer. I sometimes use my dslr (which I am getting a new one for my birthday) and I have what’s called a mirrorless camera with interchangeable lenses but most of my photos are with my phone because it is usually with me when an opportunity comes up. I just had to buy a new phone so I made sure it had good camera features. I got a Samsung Galaxy 8 which can shoot in RAW format which I love. It also has 4k video. Summer we love all your photos and for sure you and your human have each point down to a fine art. 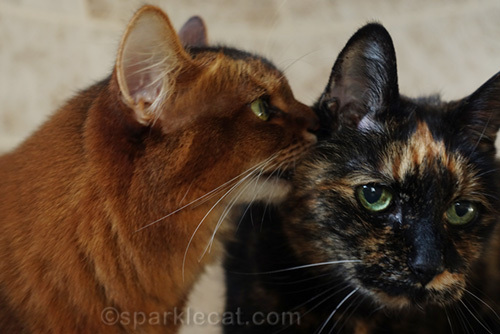 The kitten photo is darling and OMCs what are you whispering to Binga? Our human has a horrible time getting decent photos as we only have an eastern exposure. 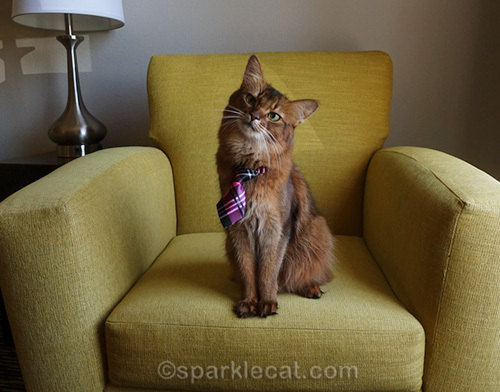 We’ve always been impressed with your human’s great photos! Loved the sentence about not being able to train a rock star. MOL! Great tips!! Someday Mom wants to learn how to use Dad’s DSLR camera. Those a furry helpful suggestions! Great post and great tips, even for those of us (probably ONLY us) who only have a DSLR and not a phone. The best rule we use is not to feel bad if you take 100 photos to get just one right. You can learn so much from those other 99 photos! Thanks for sharing your tips and tricks! Great tips. TW used to photograph rock concerts too and a lot of performers wouldn’t let you take flash pics. Most pics of me are on Pop’s bed cos it’s light enough not to use flash. Here’s a secret: TW actually has a higher-end point and shoot but she hasn’t learned to use it because she refuses to use the auto setting. For tomorrow’s Photo Fails blog hop, I mention how not all photo fails are created equal. Sorry the blog hop is Friday not tomorrow. We just started it early. i got number 4 covered. WoW! Thanks for all the tips Summer! 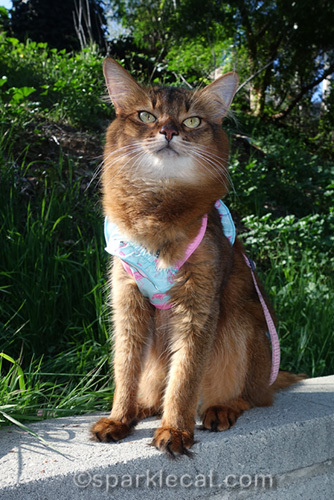 Mom commented on the BlogPaws post that she has learned so much from your human’s hints since she started following. As a matter of fact, we were looking at some of the photos of Queen Penelope Mom had on her blog last week and most of them were terrible. Mom says she has learned LOADS from your human! What great tips, Summer! Your human does take beautiful cat pictures. Do rock stars ever have to worry about tortie photobombers? Great tips, Summer. The mom needs to focus on #1 more. She has cameras but has no idea what they can do. This is a very helpful blog today Summer. Mom has a son who is a software engineer– but he is also a professional nature photographer. He despairs of getting mom to learn more about her Nikon. She knows some things and takes some good nature pictures herself thanks to his teaching but getting her to learn about speed settings and ISO occasionally! would be a huge plus! Most of hers of me are by iPhone any more. She will drag out the DSLR and the bounce flash occasionally. These are super good tips for all of our moms. Thanks. Those were good sweet Summer and no doubt true too! What beautiful photos! Your character really does shine through in each one. Very generous of your human to be sharing these awesome tips with us all – thank you! Oh what wonderful tips……my Mom forgets she even HAS a camera most of the time even though she brings it with her when she’s on a trip or other adventure. She just uses a digital she’s had since the early days of our blog and while it gets the job done, it has features she’s never even LEARNED about! Anyway, these tips will be helpful – I hope – she’s got gazillions of photos of Sammy but few of poor little me. I hope she’s inspired now! Great tips, Summer. Our mommy could learn from them.